Before I get into the details of my first composition book makeover, I should explain the slightly-off weirdness of the pictures I took. On the day I started this project the little video display window on the fancy new Nikon my guy bought me last year stopped working. Basically I had to point the camera and shoot blind, then download the pictures before I knew how they came out. Fortunately Target has a very nice return policy; they took back the camera and gave me a brand-new replacement without a bit of fuss. I liked how elegant the composition book looks now, and it's certainly sturdier. I was especially happy to finally use that wallpaper border remnant, which is one I found when we moved into this house (the previous owner's wife had them decorating the ceilings in practically every room.) 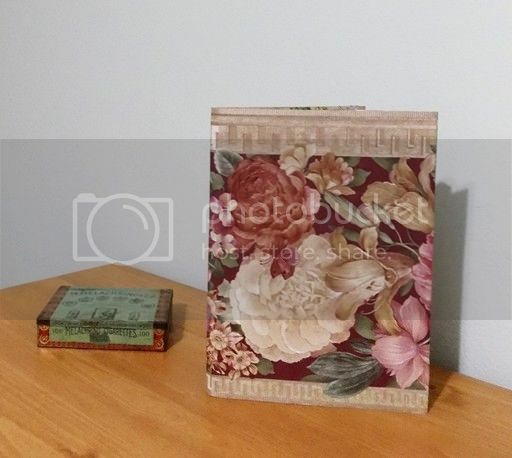 I also didn't have to cut the wallpaper to fit; it was the perfect size for the covers. 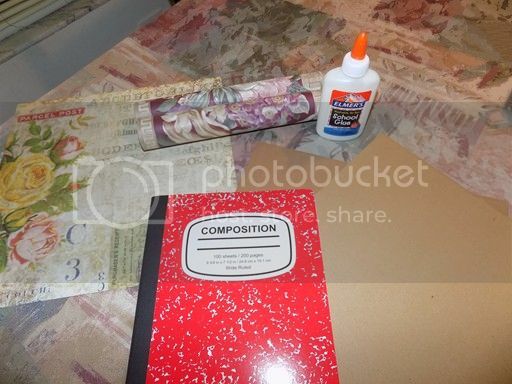 Dream a Little Bigger has a tutorial here on how to re-cover a composition book. 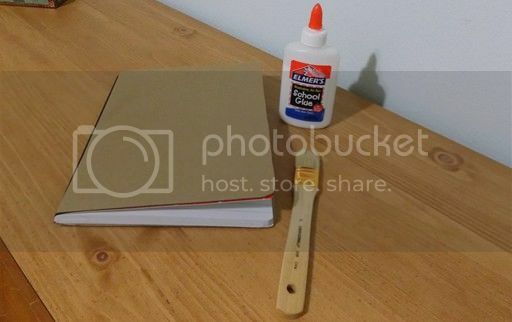 Ashley Hackshaw has a post here about turning a composition book into an art journal. 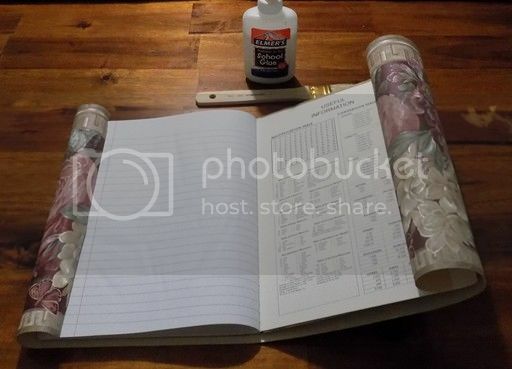 Ellison Lane has directions here on how to sew a quilted cover for a composition book. 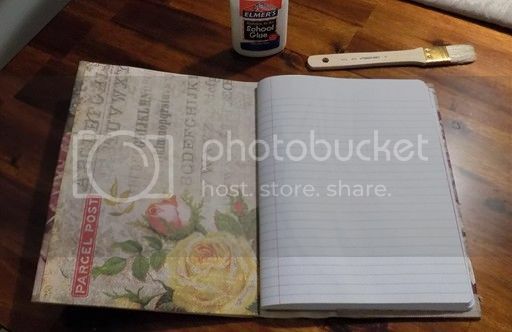 Momtastic has instructions here on how to give a composition book a chalkboard cover. You might try low-temp hot glue, Theo -- it dries quickly, usually bonds well and is more durable than the school-type glue I used for mine. Composition books are pretty flimsy, Shawna, and I think that's because they're designed for single rather than repetitive use. I think Mead brand is the best I've found so far for quality of materials and construction, but the comp books that have held up the best for me overall are ones I've picked up from Office Depot during back-to-school sales. I think their brand is foray.